Notes: On September 30, 1887, the original constitution of the Mount Horeb Evangelical Lutheran Church was adopted. 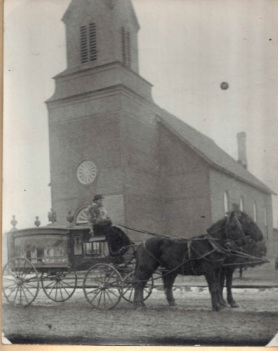 By April, 1890, the site of the present church was chosen and a frame building was erected. Extensive remodeling of this building took place in 1907. Mount Horeb and Blue Mounds united as one parish in 1908. 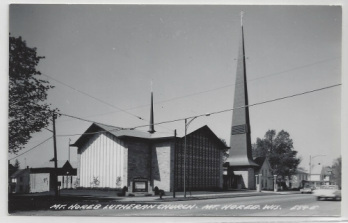 In late 1957, the congregation voted to build a new church, chapel and educational unit to replace the 1890 building. 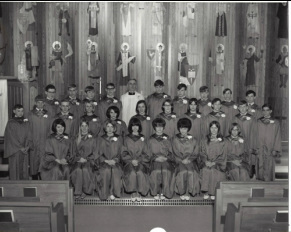 The congregation became a member of the American Lutheran Church in 1960. 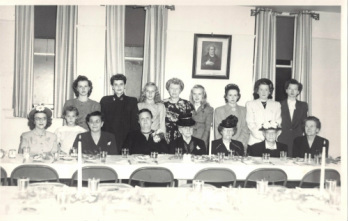 Ground breaking ceremonies for the new church were held June 15, 1960 with demolition of the old church and parsonage immediately following. The new building was completed in 1962.
interior 1909, J.H. 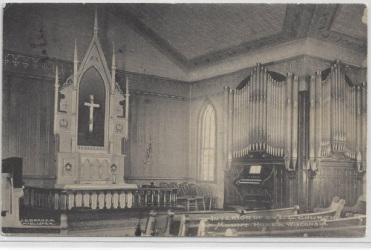 Brager, pub., accompaning handwritten note: baptismal font on left at MHAHA museum, altar painting by J.P. Moe, organ [installed 1909] was pumped by hand, etc.